Get lost in a book in the outdoors! 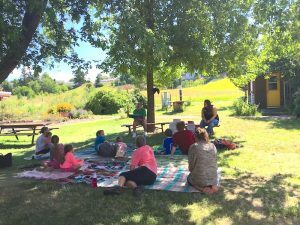 Join us at the PCEI Nature Center on Tuesdays from 10 am to 12 pm for this reading program. Each week special guests read books about the natural world. Engaging and hands-on activities follow all readings. No need to register. Blankets and camp chairs welcome!